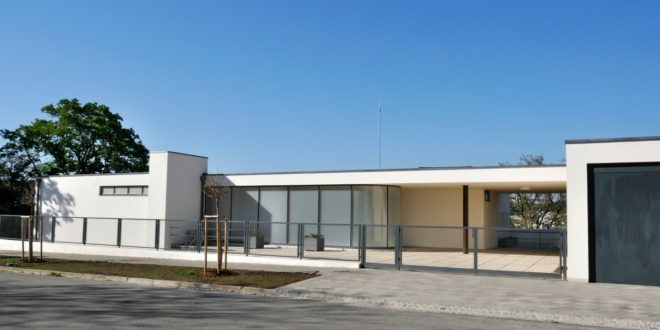 The Tugendhat villa is notable for many things. The first being its position on the UNESCO world Heritage list; it is one of the view modern buildings to be on the list. The second is the technological marvels inbuilt into the design, no mean feat for the 1930s. The villa was designed by the architect Ludwig van de Rohe for the Tugendhat family. Back in the 1930s, this is was a wonderful example of technology combined with architecture, resulting in a comfortable, cutting-edge family home. The owners left the country prior to the Second World War and the building started to fall into disrepair. Since then the building had a varied history. It was occupied by enemy forces during the War, and then passed into the hands of the state, and was used for housing visiting dignitaries and for holding important state events. Eventually, it started falling into decay. Renovation efforts started in the 1990s and in 2012, a refurbished building opened to the public. The villa has been restored to its original state. Today, you can visit the many bedrooms and living quarters in the mansion. You can also marvel at the luxury of the furnishing, because these too have been restored to look like the original. For visitors, a visit to this mansion is like traveling back in time because everything has been carefully restored to reveal what the mansion looked like back in the 1930s. Another splendid thing about the villa is the beauty of its surroundings. The villa was meant to offer ultimate in luxury and comfort to its inhabitants. As such, you can see the effort that went into creating and maintaining this level of luxury, when you visit each room at the mansion. Apart from that, you can visit the perfectly maintained gardens. The sprawling expanse of green outside the mansion was designed to offer privacy and a place to relax and forms a natural addition to the estate. Tugendhat villa also offers several other things to guests. If you have an interest in things technological, you can visit the villa’s underground chambers. Here, you will find the technology that powered the mechanically opening windows, and other comforts that were far ahead of their time. These equipment formed the lifeline of the villa, powering the shifting walls and windows that allowed for innumerable ways of rearranging the interior space. The air conditioning was created with a system for purifying the air with salt. For those with an interest in lifestyle back in the 1930s, a visit to the exhibits displaying family photos of the owners are an eye opener. The villa also houses a library. It is so vast and its collection so prized that it is now a semi public library. People who wish to use this library however, can do so with appointment. Since this house stood for opulence, it also sparked a debate back in the day about the need for affordable homes for all versus the luxury of the wealthy. Visiting the villa today will help you realize how people back in the day conceptualized modern living standards.